If there's one thing in recent internet history that drives me nuts, it's the fact that people feel like Valve owes us Half-Life 3. Every time Valve releases a new game, or a new feature on Steam, someone pipes up with a "Where's Half-Life 3?" or "Why are they releasing this and not Half-Life 3?" My thoughts on this trend is "Since when did Valve owe Half-Life 3 to anyone?" Honestly, it's getting a little annoying. Valve is, by far, my favorite game developer. The Half-Life series is my favorite IP of all time, and, In my opinion, I have not played a single game from Valve that was bad. Plus, Team Fortress 2 is my favorite online game of all time. On top of all that, I rarely buy a PC game that's not on Valve's Steam service because of the sheer convenience that the service delivers. So it should be no surprise when I say that Half-Life 3 is my most anticipated game of all time. Yet, I'm okay with waiting for the game. There are many reasons why I'm willing to wait for Half-Life 3. First off, with the trend for Half-Life games, I feel as if Half-Life 3 should be delivered on a next generation Source engine. 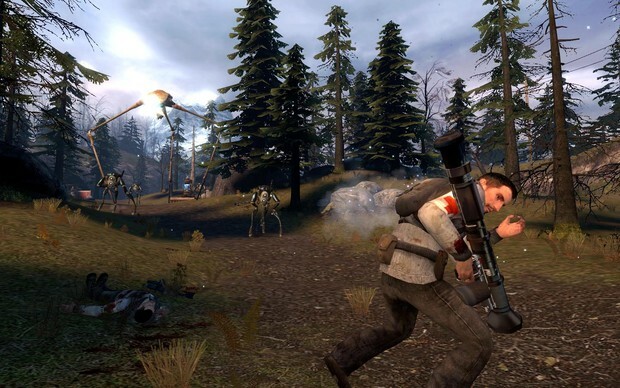 Half-Life 2 was the flagship title for the Source engine to begin with. While Counter-Strike: Source was the first release on the Source engine, Half-Life 2 was the game that showed off what it had to offer. The biggest selling point of the Source engine were the physics, and Half-Life 2's Gravity Gun was the weapon to showcase what the engine could do. To me, a new Half-Life should be a flagship title to a new engine. Unless we're looking at Half-Life 2: Episode 3, which most people think we're not going to see, Half-Life 3 should launch with a new engine that not only has newer graphical capabilities, but new features to the Source engine overall. What would these features entail? I'm not entirely sure, other than DirectX 11 support, or maybe even further next-gen PC support. 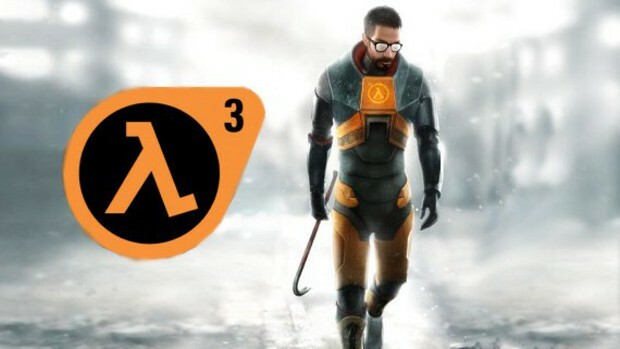 However, we do know that a Source 2 is most likely on the way, so perhaps Half-Life 3 will show up sooner than later. As for why people think everyone deserves a Half-Life sequel? It's kind of hard to say exactly why. 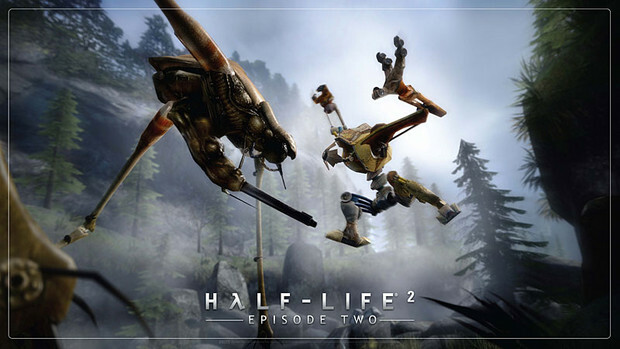 I think part of it is because the last Half-Life we saw was Half-Life 2: Episode 2 back in 2007 with the release of The Orange Box. Episode 2 had a cliffhanger ending, and that left us all wanting more. On top of that, after Valve decided to release Half-Life 2: Aftermath as an episodic series, we've gotten two out of the expected three episodes from it. However, I feel the biggest reason people are clamoring for this game is due to the day and age we live in. If you look at the state of Triple A games these days, we're getting sequels to lots of the big games at least once a year. While Valve normally delivers one game a year, the game usually isn't the same thing each year. While we did get Left 4 Dead and Left 4 Dead 2 a year apart from each other, overall they mix up what we get every year. Another thing is that these days we can get most of our media instantly. Steam allows us to get a new game fairly quick. iTunes allows us to download music and movies within minutes. With today's instant media delivery, it's easy to want things faster than they can be created. All in all, it has been a few years since we've last seen a new entry in the Half-Life series. And while a sequel to the Half-Life series is something I want more than anything, I'm willing to wait. Especially since Valve is still delivering quality games and services in the meantime. All that I ask of the rest of you is to try to be patient as well. Valve owes you nothing. 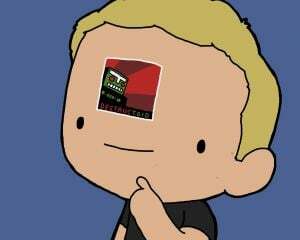 If anything, you owe Valve for the revolutionary services and quality games they've delivered to you while you wait for Half-Life 3. Valve will release the game when it's ready. And knowing Valve, it'll be one damn fine game when it's released, and well worth the wait.